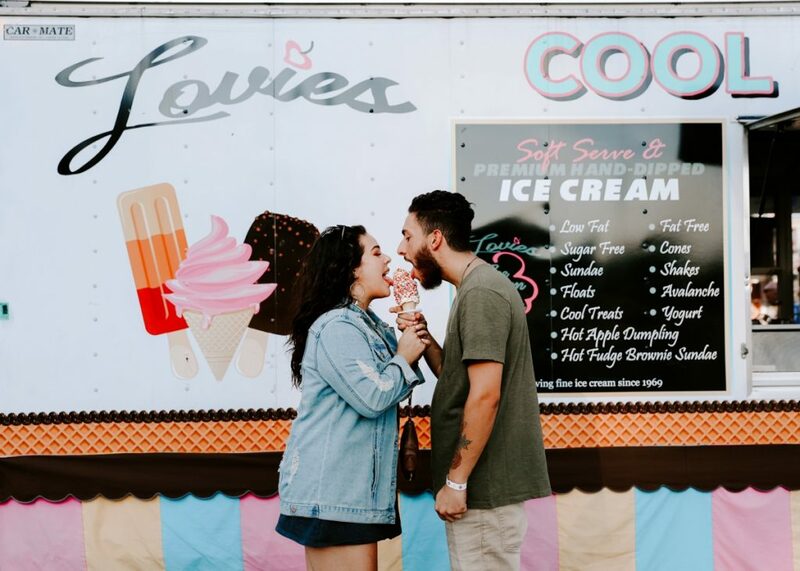 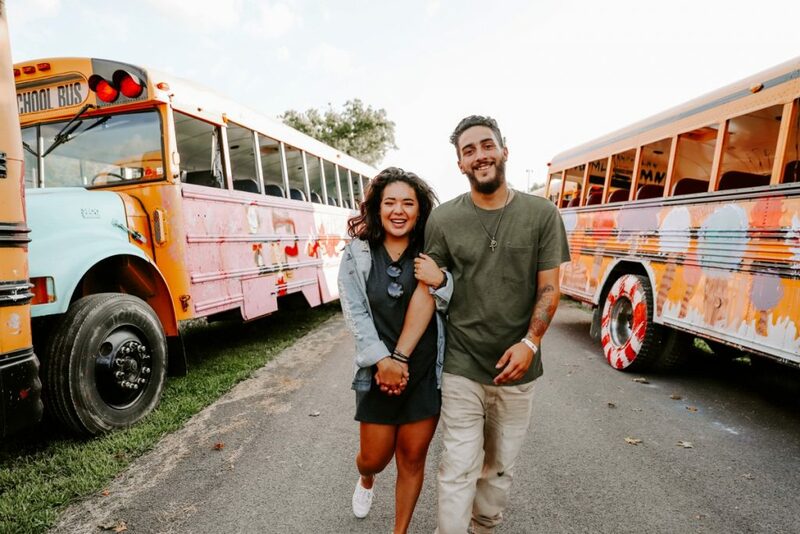 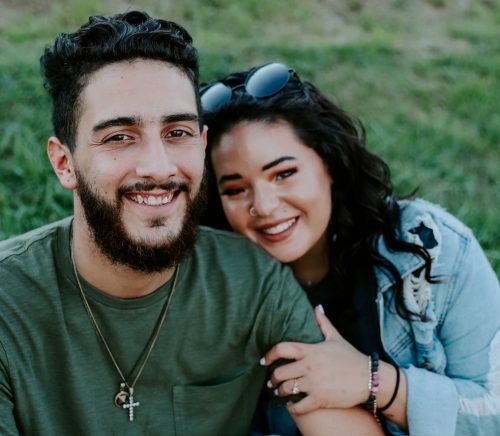 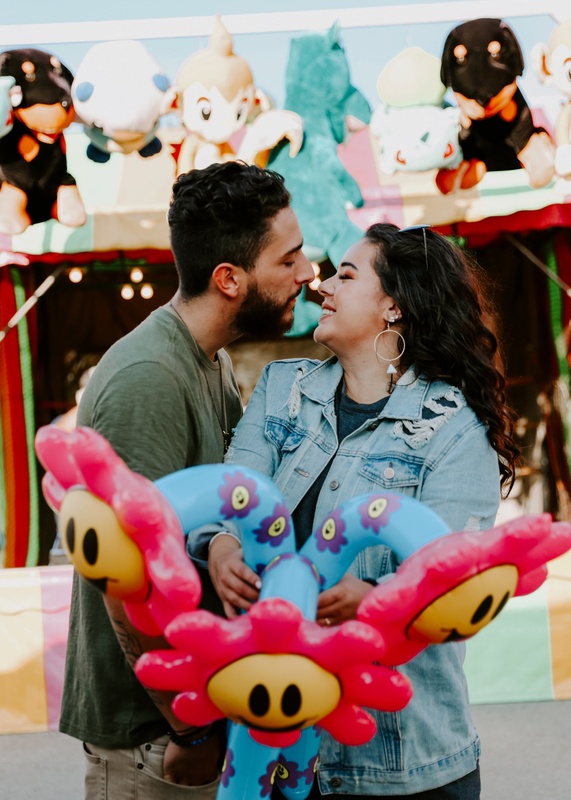 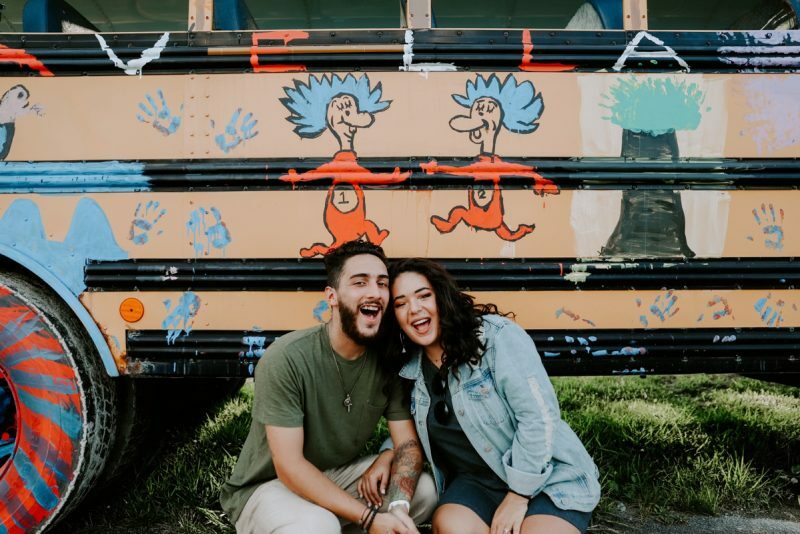 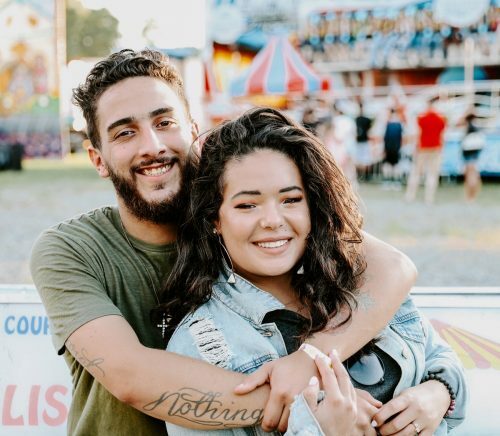 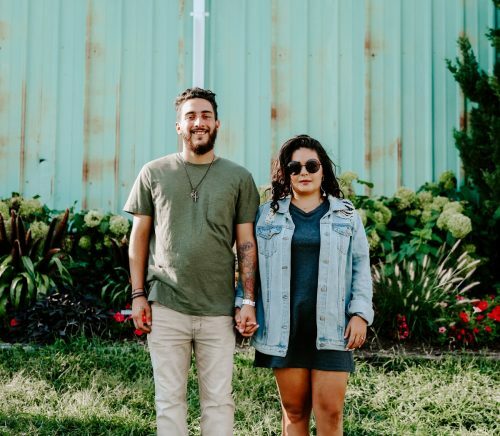 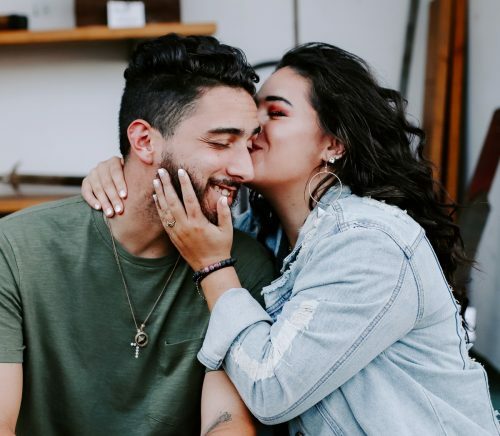 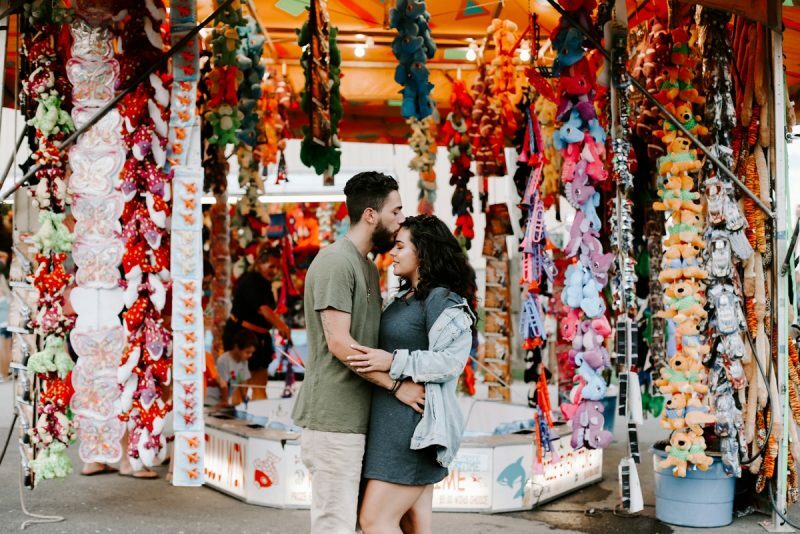 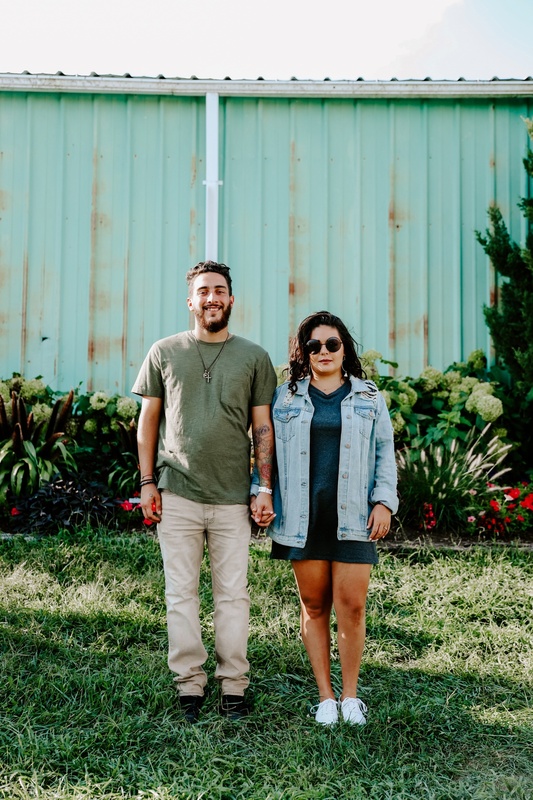 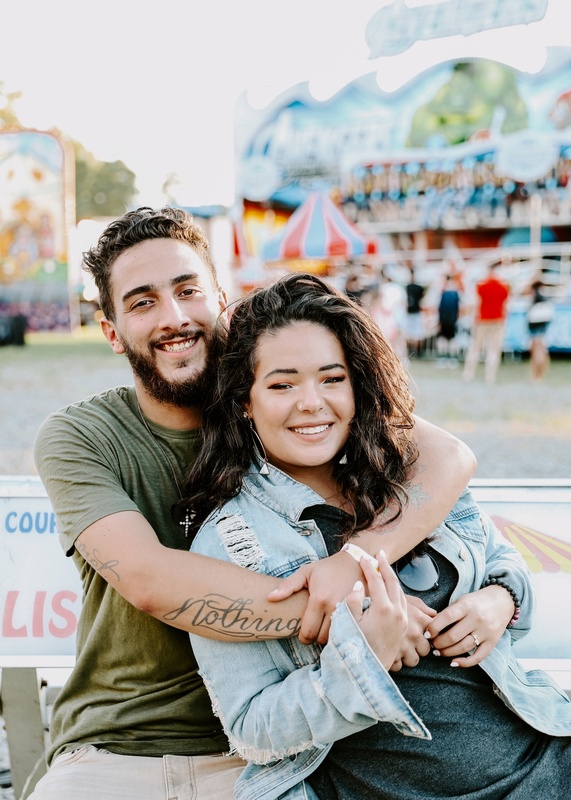 Full of whimsical color and youthful fun, this Washington County Fair engagement session will have you feeling like a kid again! 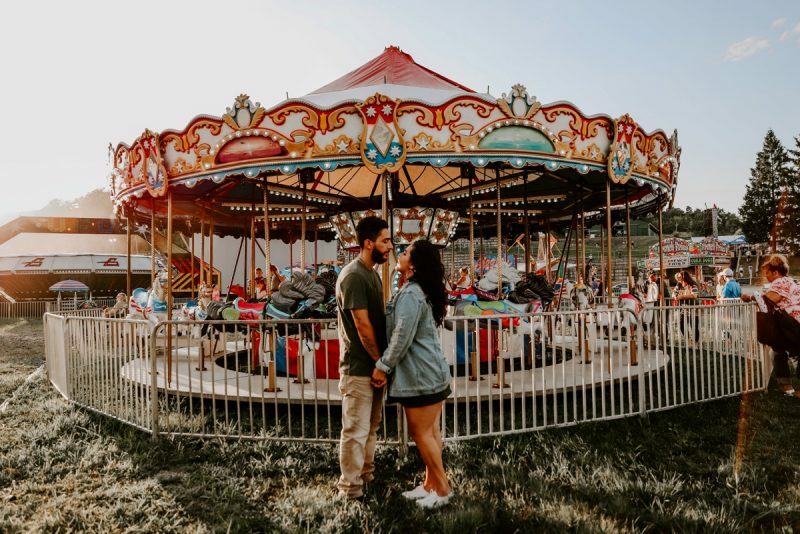 Gabby and Seth’s relationship is all about good times and laughter, and what better represents that than a good ol’ fashioned carnival? 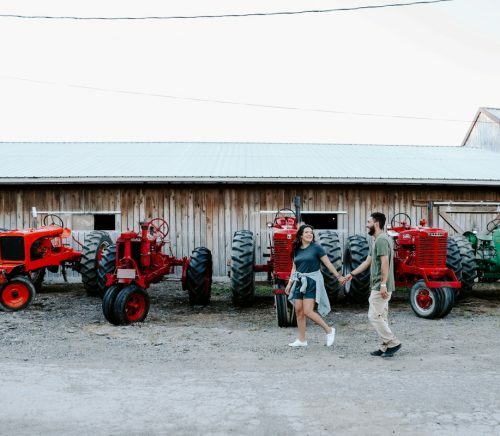 They wanted their pre-wedding pics to be extraordinary – different from all that they’d seen before. 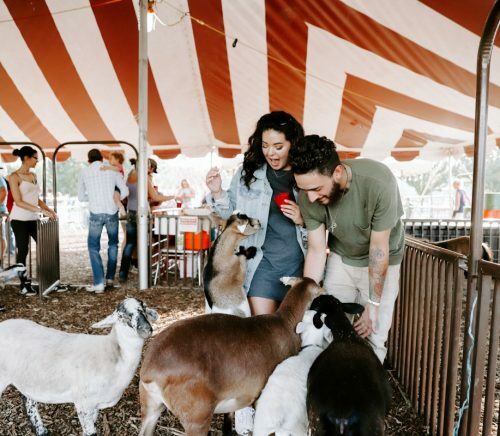 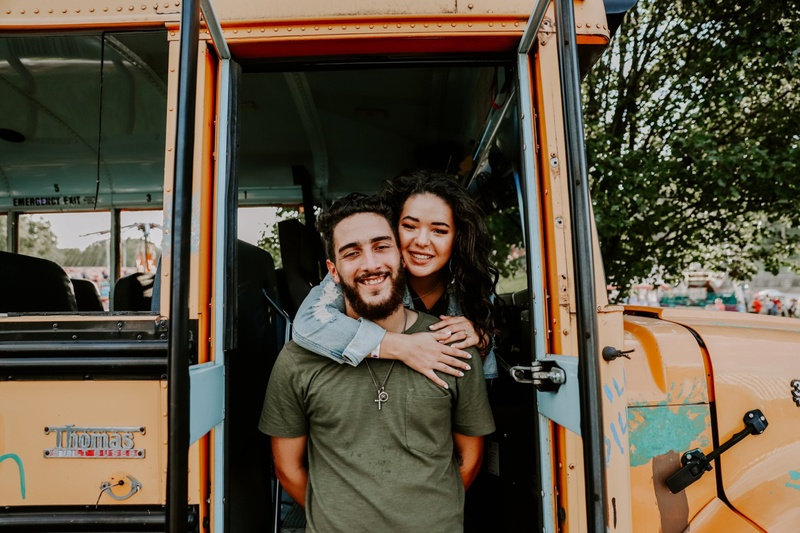 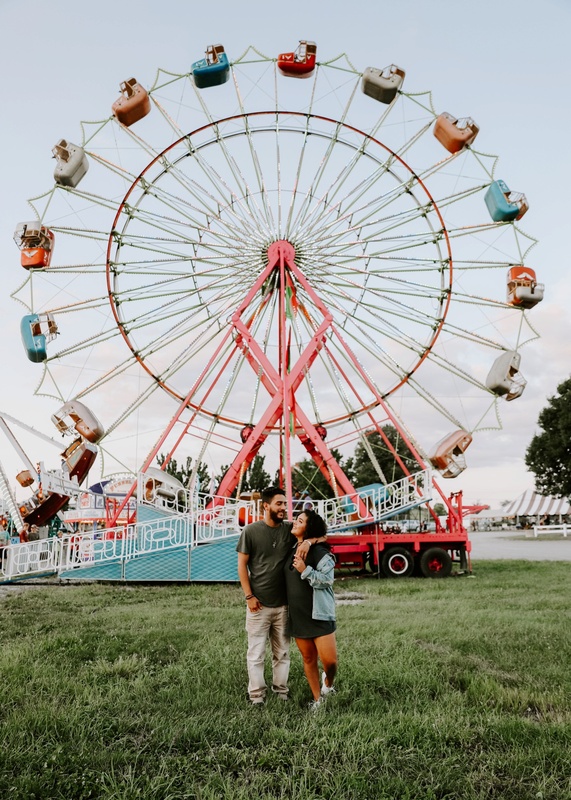 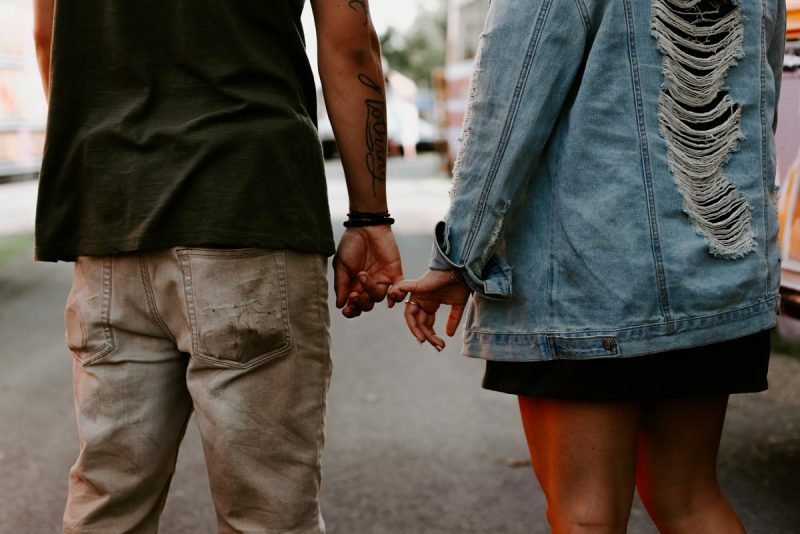 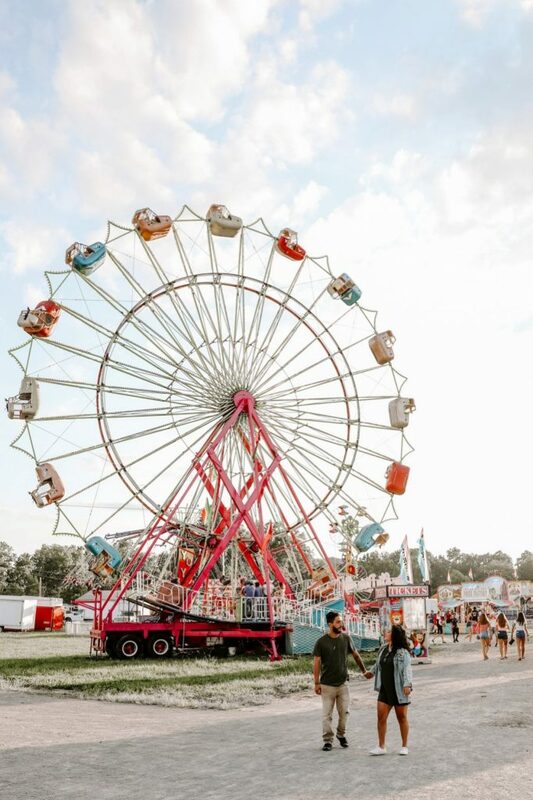 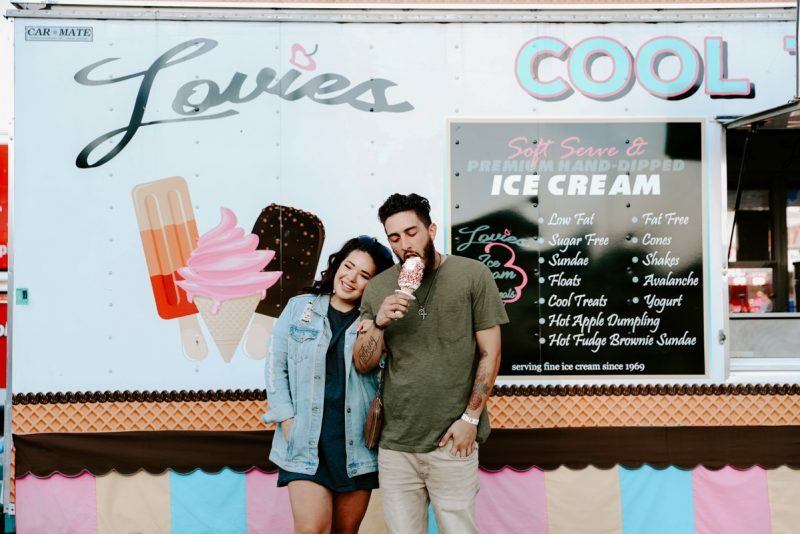 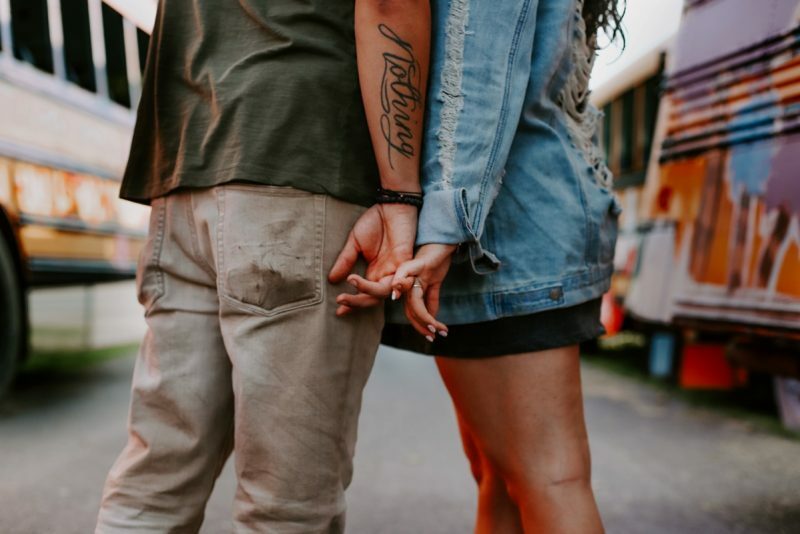 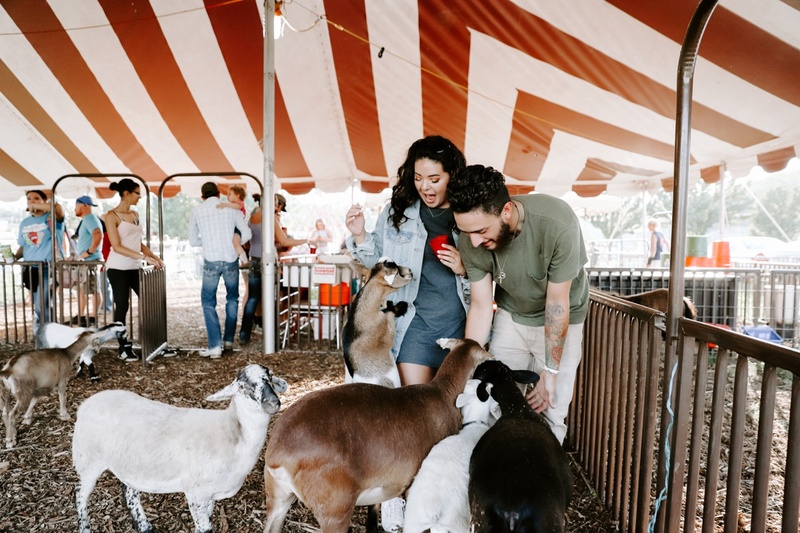 Cue teaming up with Shelby Heisler Photography to hit up the county fair for an epic engagement shoot that just might be my new favorite (and quite possibly yours too!). 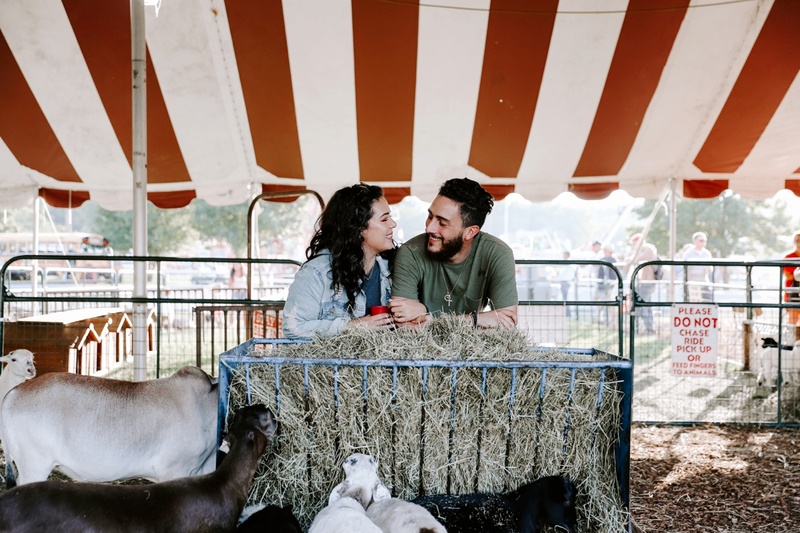 They played a few games, enjoyed an ice cream cone (with sprinkles, of course), petted a few baby goats, and generally ran around like fools in love. 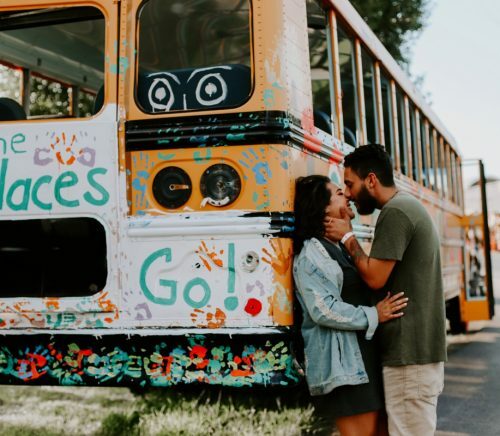 From the lights of the spinning Ferris Wheel to the bright Merry-Go-Round to a graffiti covered school bus, the colors of these photos are like a playful dream come true. 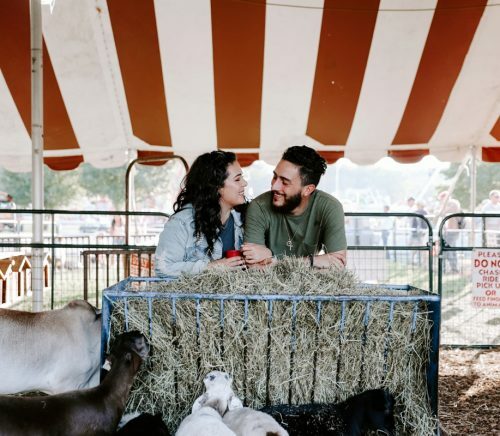 These images are unique, magical, and they capture the essence of Gabby and Seth’s carefree, fun-loving relationship. 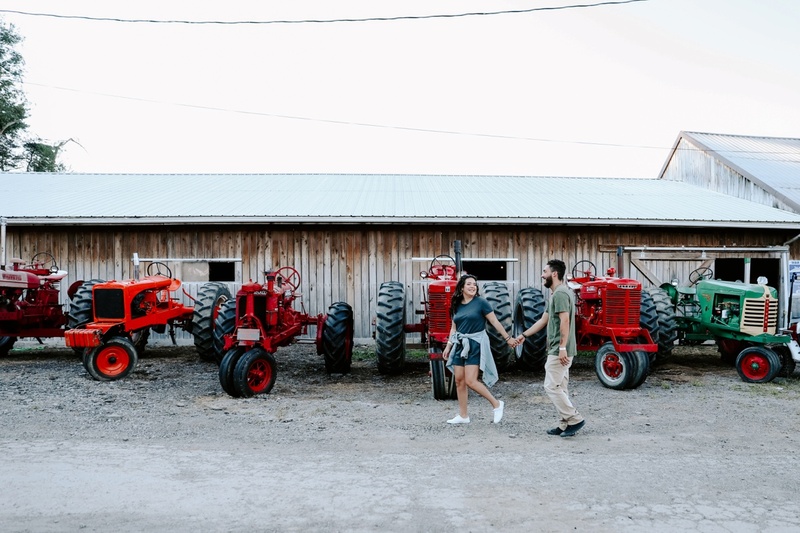 That’s a winning combination for a totally killer engagement session, if you ask me! 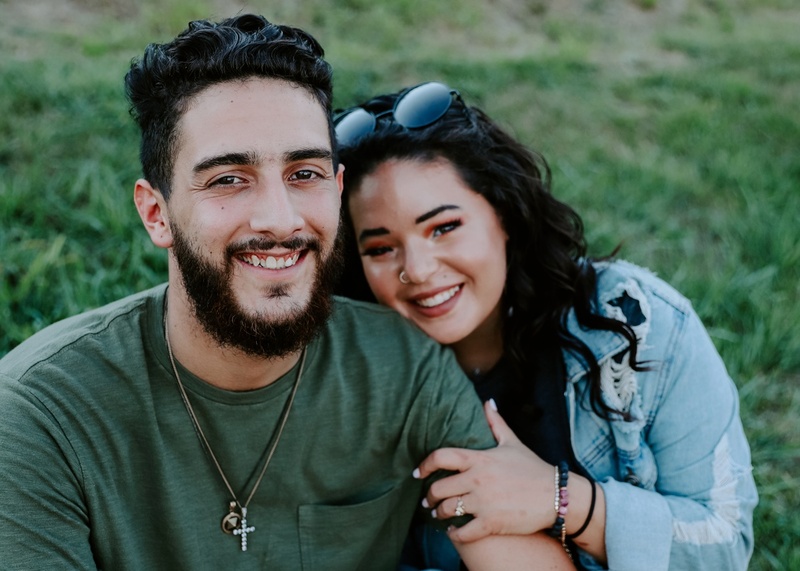 We’ve recently figured out that our paths first crossed in high school, when I watched him play a baseball game against my school. 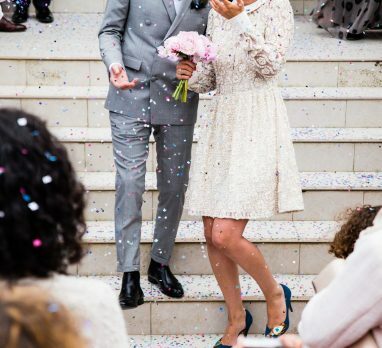 We had no idea back then that something magical had happened. 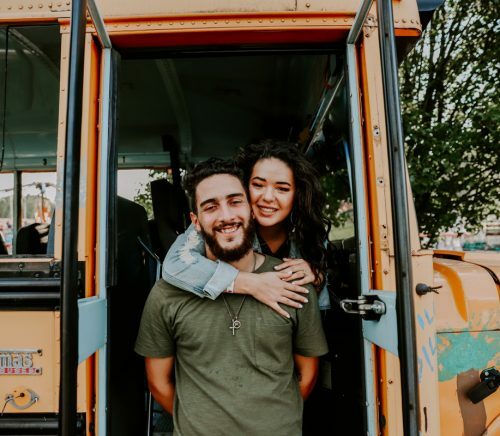 About a year later, our paths crossed again on Tinder (what a millennial love story). 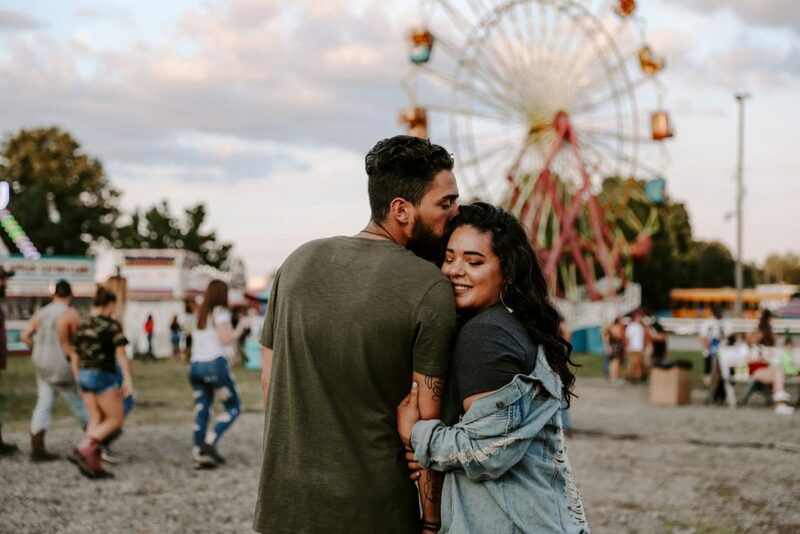 We would text and talk for hours every day, but it didn’t work out that time… or the time after that… but eventually we got the timing right and the rest is history. 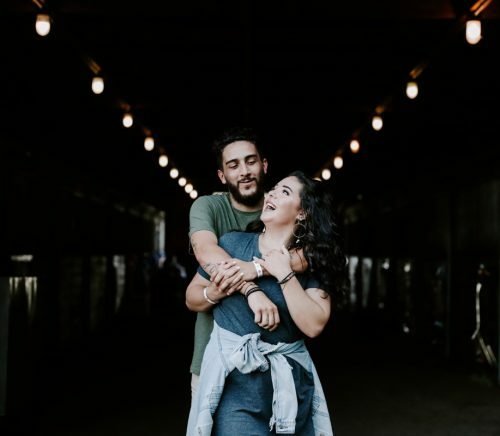 Then, Seth sealed the deal this past June on my birthday. 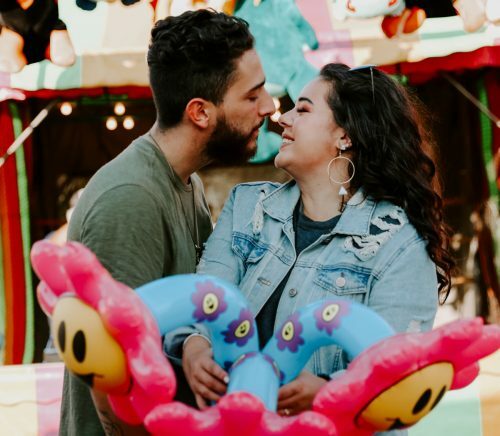 He planned a huge surprise party including all of my closest friends and a good chunk of my massive family (there were literally 60+ people there!) 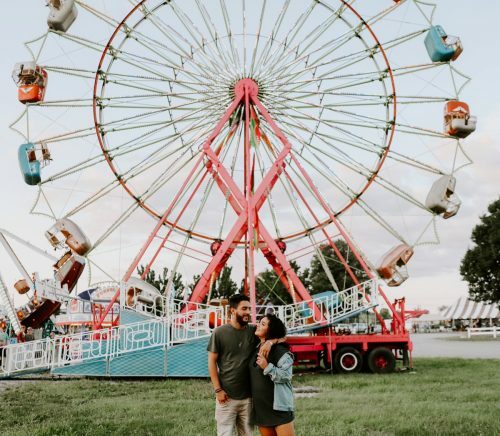 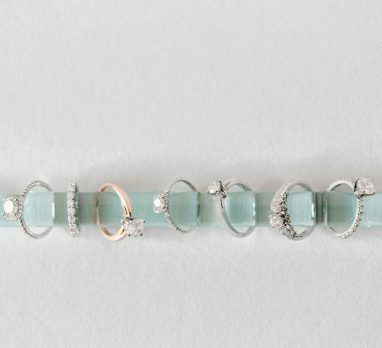 To my surprise, it was more than a surprise birthday party when Seth got down on one knee in front of all of my people and asked me to spend forever with him with his late great grandmother’s ring! 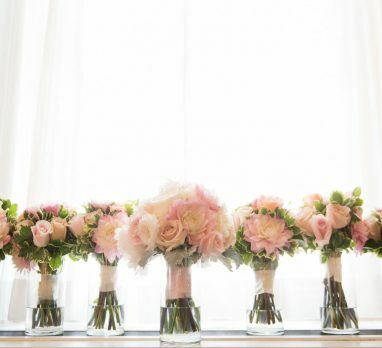 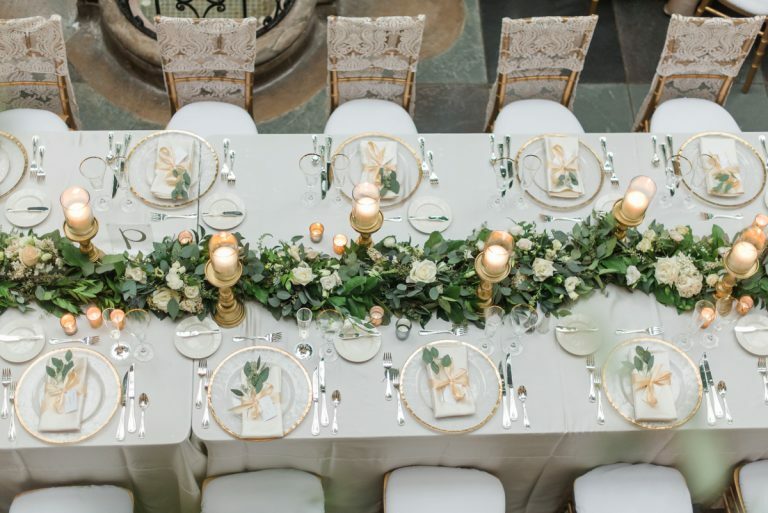 We wanted to do something a little less formal than a lot of what we’ve seen! 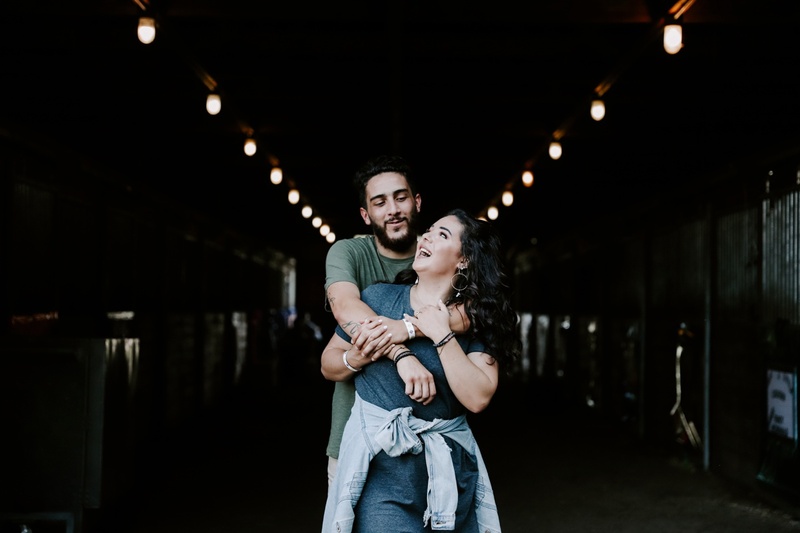 Our relationship is based around fun; one of the things that drew us together is the way we laugh together no matter what is going on around us! 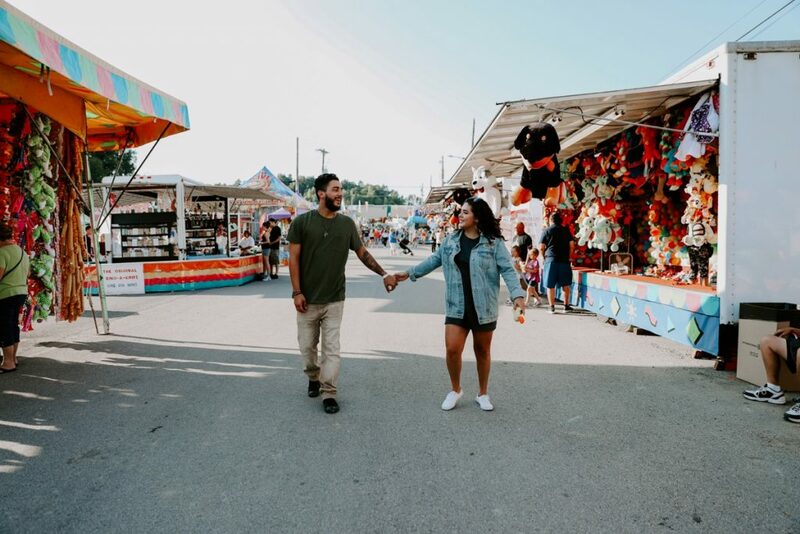 We said, “What’s more fun than a fair?” I knew Shelby from high school, so aside from knowing how talented she was, I knew how much fun she is and that she’d be the perfect fit. 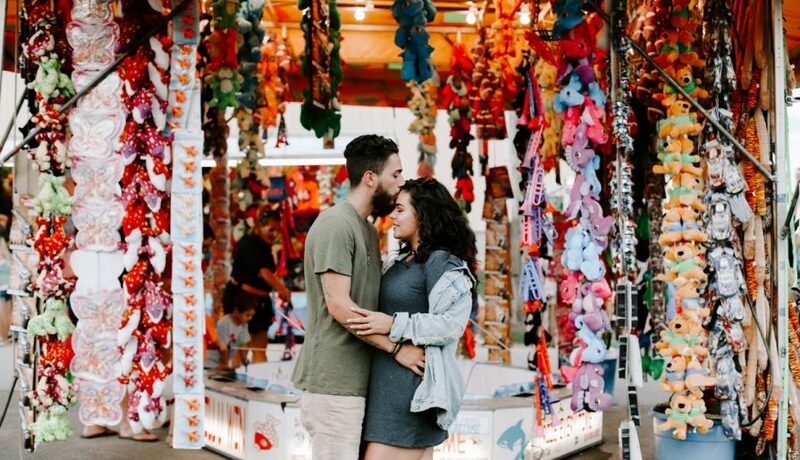 We just ran around the fair, played games, almost fell down a couple of hills, got some ice cream, and Shelby kept us laughing the whole time! 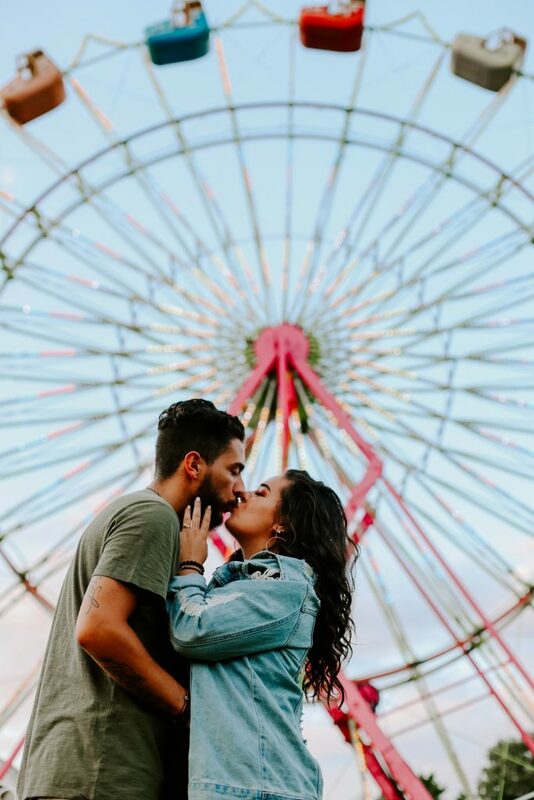 The pictures are more than we ever could have imagined. 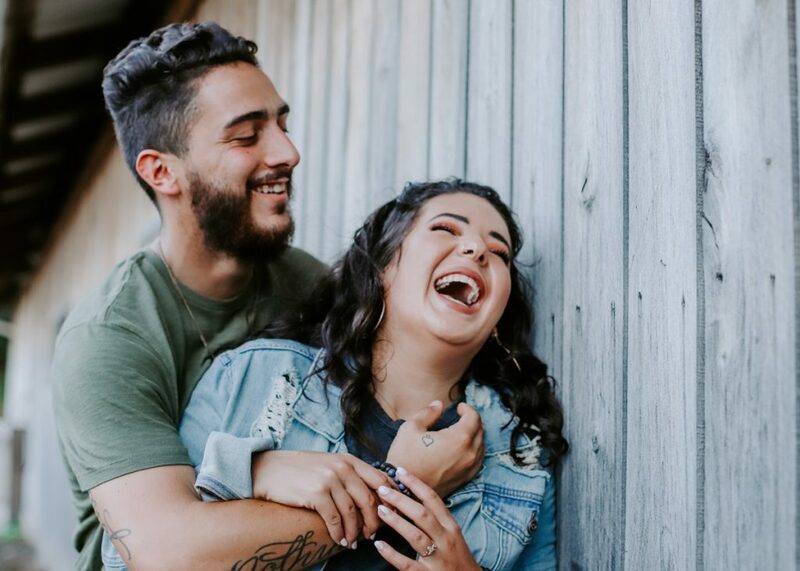 More than anything, they captured Seth’s smile that I love so much and that is not seen nearly enough by most people. 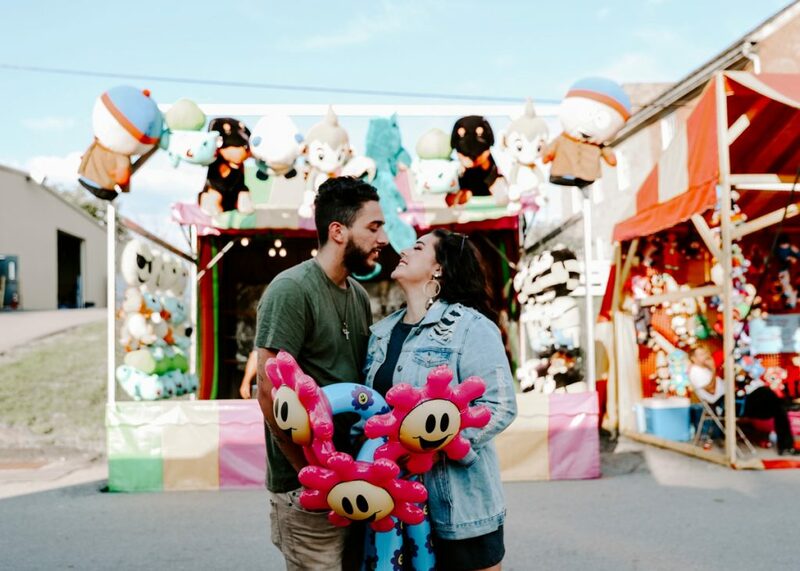 I think the most unique thing about the photos is that Shelby was able to capture our relationship in its true form and that will forever mean the world to us!